SCVHistory.com | Andy Jauregui Ranch | FULL MOVIE: Monogram Rough Riders in 'The Gunman from Bodie,' Placerita Canyon, 1941. 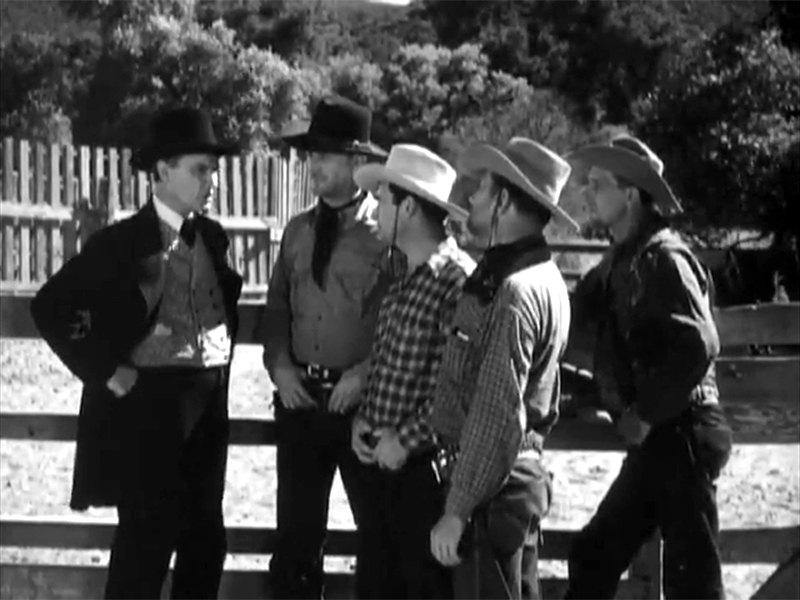 Three men and a baby: Buck Jones, Tim McCoy and Raymond Hatton — Monogram's Rough Riders — team up to stop a dastardly rancher from jumping other ranchers' water rights — and rescue an orphaned infant in the process — in the 1941 buddy picture, "The Gunman from Bodie." Principal filming was done at Andy Jauregui's movie ranch in Placerita Canyon. 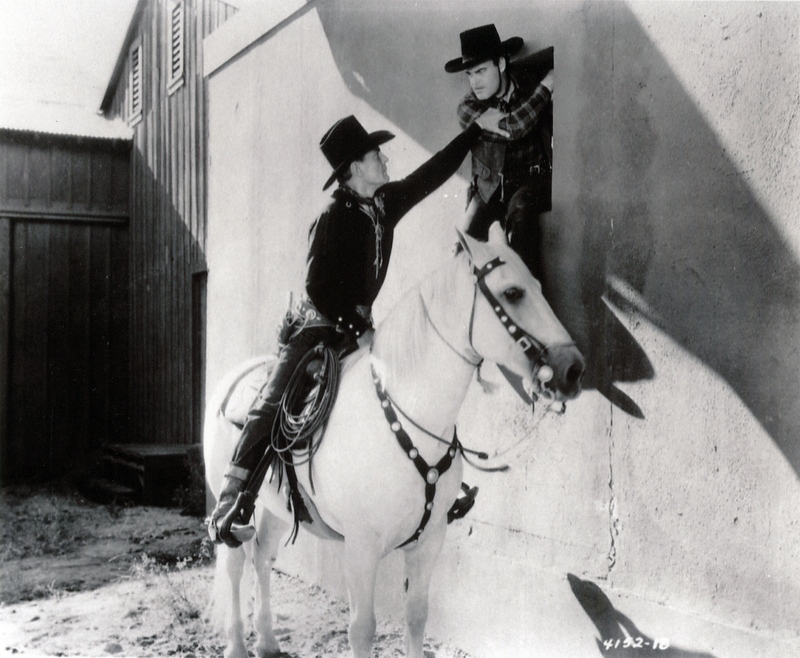 In the 1940s, when the box-office appeal of the big stars of the 1920s and 1930s such as Hoot Gibson and Buck Jones began to fade as their original audiences aged and outgrew them, Monogram producer Scott Dunlap teamed them up in dozens of in low-budget ("B" Western) "buddy pictures" in an attempt to triple the attraction. 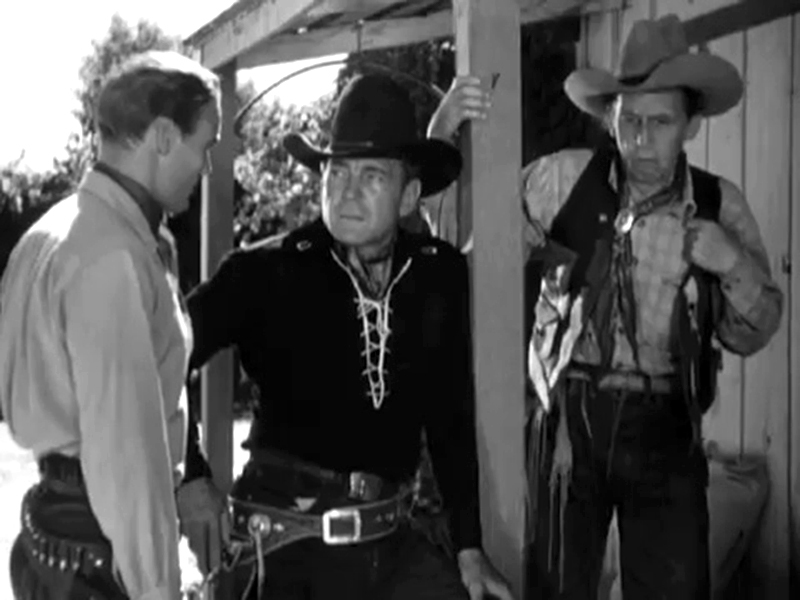 The arrangement would ultimately lead to a twist ending for Buck Jones (see below). 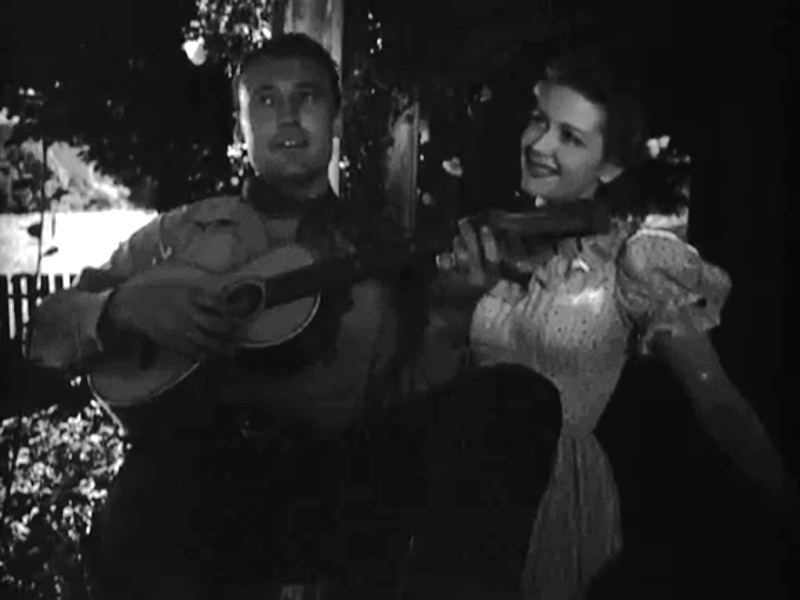 Christine McIntyre is the distressed damsel and Robert Frazer is the ruthless "Wyatt" in our picture, which also features Dave O'Brien, Charles King, Lynton Brent, Max Waizmann, Gene Alsace, John Merton, Frank LaRue and Jones' horse Silver. Uncredited cast includes Ed Brady, Kernan Cripps, Earl Douglas, Frederick Gee, Chick Hannan, Warren Jackson, Jack King, Merrill McCormick, Tex Palmer and Jerry Sheldon. Stunt performers are Alsace, Jack Hendricks and Wally West. Monogram regular Harry Neumann was behind the camera, and Glen Glenn handled the sound. Screenshots except for the last, which is a copy print from a publicity photo (NSS film No. 4152, still No. 18).